Gapers Block - To be Demolished: 1653 S. Homan Ave. Permit Description: Wreck & remove 2 story brick multi unit residence and detached brick garage. 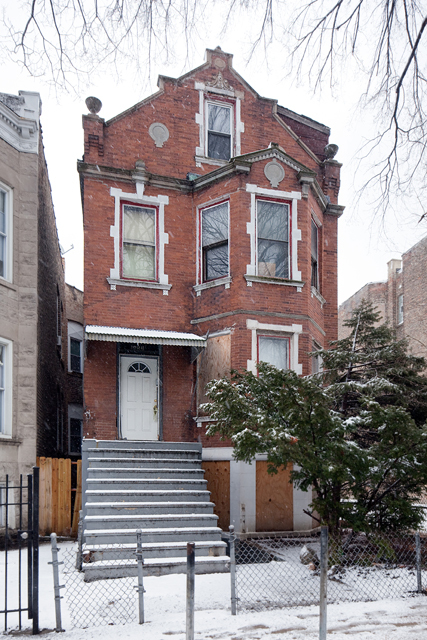 This detailed brick residence received two 311 calls regarding its vacant status in early 2011; in both cases the report included the statement that people were using the building. There were no status updates until the demolition permit was issued in February, but a state lien was put on the property by the Illinois Department of Healthcare and Family Services in September 2011. The building does not appear to have been offered for sale in recent years.